“Be careful what you set your heart upon, for you will surely have it." While our friend Charlie was visiting from Alabama, we drove up to Madison County in Virginia to check out Graves Mountain Apple Harvest Festival. It was a beautiful day for a road trip (about 80 minutes from where we live). We eat a lot of apples in the Fall and Winter, so we buy them by the bushel since we can store them in our garage to refill our refrigerator bin. They had many types of apples but most of them were not good picking. Many of the bins had rotten apples and lots of bruises and marks on them. We were disappointed. 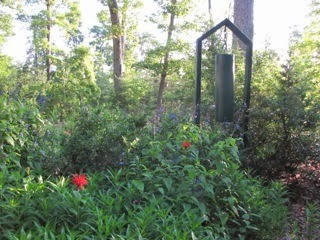 We had a very wet Spring and Summer, but Googling showed me that they did not have enough rain. The best looking apples were the York variety so we loaded our boxes with those. November is the month of Thanks Giving. It's a nice focus for me as the days get colder and the sun sets so early in the day. I make a list of people I am thankful for which brightens the month realizing how very blessed I am to enjoy so many friends. It's a nice alternative celebration of life's relationships and memories. 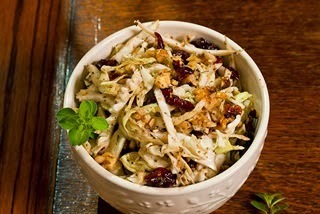 I happened upon a tasty and healthy recipe for the holidays called Cabbage, Walnut and Cranberry Salad. Looks pretty good since I do like cabbage. It was interesting to look at the ingredients with 1/4 cup evoo as the first one listed. How many of you know what that is? I guess it could be a familiar term to those who hang out on recipe websites, but I've cooked for so long with whatever was already in the house that I rarely consider recipes. On my last food order I ordered a case of Tofurky Roasts and we'll be having one of those on that day with vegetarian gravy and lots of vegetables. If you have a vegetarian in your family or may have an interest in saving the life of a turkey, you might want to consider the options that Tofurky has for holiday meals. I admit we've never had one of these although I've known about them for many years and heard nothing but rave reviews about them. Since we don't have family in the area, Thanksgiving isn't a big meal event, so we generally make something a bit different from our usual fare and enjoy having the holiday time off work. If anybody lives near Chapel Hill, NC, there's an annual Vegan Thanksgiving Feast that is huge. This is their 15th consecutive year and it's an amazing event. We went a few years ago and it was truly gourmet and an incredible experience. Speaking of North Carolina, I saw a house that would be very interesting to see in Kernersville, NC (near Winston-Salem), called Körner's Folly. The home has 22 rooms with three stories and seven levels (intriguing in itself). The ceiling heights go from 5-1/2 feet to 25 feet. Jule Gilmer Körner began building in 1878. He was an interior and furniture designer, decorator and painter who wanted to showcase his talents to potential clients. He renovated constantly to show off his new creations. There are trap doors, cubby holes, and quirky corners. The neighbors were the ones who named it and they were invited to see it on Easter Day in 1880. Unusual artwork, murals, and opulence. No two doorways or windows are exactly alike. I thought it was quite unique and certainly different from most historic homes. In 1897, Jule renovated Körner’s Folly, turning his third floor billiards room into a theater space where children in the community ages 7-13 were invited to create, rehearse, and perform on-stage performances at Körner’s Folly, directed by Polly Alice, his wife. The theater was adorned with cupid-themed murals painted by Caesar Milch. It is believed Cupid’s Park Theater was the first private little theater in America. If you're ever in that area, it may be of interest to you to see it. Visit Körner’s Folly Website. 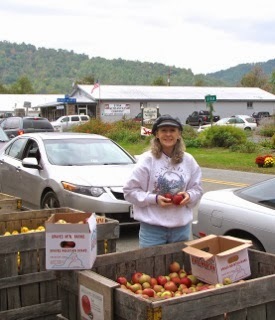 One of my sweet friends I've come to know and love from The Nature In Us blog is Lynn Alford. She's sent me quite a few books over the years. She's a woman of God that sows good seed everywhere she goes and is one real treasure of a friend to many. The recent book I received that I am now reading is The Temple Within - Fellowship With an Indwelling Christ by Milt Rodriguez. The link to Amazon allows you to look inside and read portions of the book. Chewing on such nuggets of gold is a delight to my soul and spirit. I recommend checking it out, but this post has a few excerpts for you to ponder, which is what I've been doing as I slowly make my way from page to page. You can also read an article I wrote with some excerpts from the book. 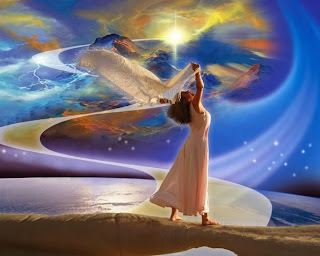 It is titled, "Amazing Love in Christ." God seems to be surrounding me with deeper and deeper teaching on who I am in Christ. We will still be learning this when we arrive in Heaven. Who can comprehend a Living God within themselves? It can only be revealed by the Holy Spirit within us. It's certainly not a mental feat. Being content with ourselves just the way we are is a big leap for so many. If we could fully comprehend how much God loves us just the way we are. He has no agenda for us but to love us. If you will receive His love and His acceptance and His adoration for you, you will find that you will change in areas of life that you thought you would never be able to turn from. Allow Him to love on you and stop condemning yourself. He literally adores you and just wants to be good to you. Accept His grace gift and you will do and become everything you ever desired to be. Look in the mirror several times a day -- at least in the morning when you get up and in the evening when you go to bed. Look at yourself eyeball to eyeball and continue to tell yourself how much God loves you! Your brain needs to hear it before you will have the faith in it. We have been presented with a picture of an angry God, but why would an angry God sacrifice His Son on a cross? Why would He come to earth to pay the price for all of our sins (past, present and future)? For so great a love. While Charlie was visiting we were having lunch on the screened porch and we thought we heard a sheep or goat bleating (characteristic cry of a goat or sheep). 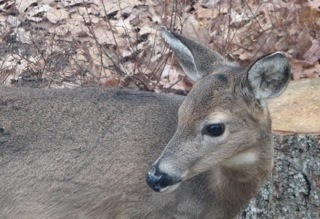 It only took a moment to see what was doing it, as a young deer was walking into our property. By young I mean it was past the fawn stage, but not full grown. I call them teenagers. There were no other deer around so I thought it had maybe "misplaced" its sibling since all the fawns we saw this year were twins. Seems to have been a good year for deer births in our area. It was so cute and Randal kept telling me to take a video so we'd have the sound, but the camera was in the house and I just wanted to watch it. Actually I was quite concerned since we see deer very frequently on our property, but we've never had one doing this. I had heard the sound before in the back woods, but only a short call. This little one just kept crying as it walked. I found a very short video of a fawn bleating if you'd like to hear the sound. Speaking of Charlie's visit, I was quite amazed at the obvious results of my brain detox programs (renewing/rewiring the mind to the obedience of Christ). Whenever I've had company throughout my entire life, I've been a bundle of energy before they ever arrived and made long To Do lists and schedules for things they might like to do. I also had menus planned out and everything so very detailed. Don't get me wrong, I still love details and I like to plan and schedule. However, when you're trying to "guess" what company is going to like, it was surely a stress event that I considered normal for having guests. Two days before Charlie arrived I began wondering why I wasn't in gear and going on all the preparations for his being here. My mind said, "relax, it will all be okay." Then the day before I thought it was time to clean and put things into place and my mind said, "relax, you can do that tomorrow." It's like there was no way for me to get to the starting gate of getting anxious in any way. Then the day of arrival came and I thought I'd be out of bed before dawn, but I slept a little later than usual (totally amazing) and got up, had breakfast and took care of me first, and then began to clean. It was all totally odd to me and yet it was as if that's just who I was. But I remember it is NOT who I was. So it was a great example of what's going on with these brain detoxes. Read this article for details on how it works. What I noticed was that Charlie enjoyed his time more with me not fussing over him and having everything so well planned. I would give him some options in the morning about meals for the day and he would generally like any of the above, so that was simple. As for entertainment, he'd rather to a fix-it project than anything else and Randal had a few of those on his list. This is the guy that has gifted us with creations from steel, such as the Butterfly Bench, Gong, Stand for 6' Wind Chimes and a Garden Hose Holder. I've been focusing on the "joys of Winter." This year I asked God to help me focus on good things about Winter. I have never liked Winter or cold weather, but after having so much rheumatoid arthritis damage I surely liked it less. I praise God that I don't have the inflammatory pain of the disease any longer, but the damage that was done has not healed yet and that makes things a bit more difficult. We have ordered a humidifier and set it up so I'll be reporting on that in the next newsletter. Seems it's going to provide a lot of comfort this Winter. 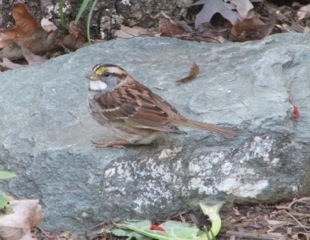 One Winter blessing has been to see the White-throated Sparrows arrive. They come in near the end of October and sing their pretty song all Winter long. Seems there are some bird species that can't keep from counting their blessings also. They come down from Canada after a Summer of mating and raising babies. I guess they figure this is their Winter Wonderland time to be back on their own again. There's always many things to feel blessed with every day. One of my joys is to dust since most of what needs to be dusted has special memories or were gifts from friends. I take a moment to reflect on the importance of relationships and to pray for the person who gave the gift. The reason I "make" myself think about relationships is because I have always been a doer, delighting in getting something done more than time with people. As we age I suppose we realize that friends are very special. When we're done wiping baby bottoms and cleaning up spills, and our children are out and about with lives on their own, it's the friendships we've made that really count in life. Until next time .... consider taking time to be thankful for the special people in your life .... and find time to give them a call or write them a note. It could make their Thanksgiving Holiday a real blessing. Holidays are a hard time for some people, so you never know what a few kind words will mean to them. Thank You For Traveling Through Life With Me on This Blog! Donna lives in Central Virginia with a wonderful husband and a cat named Squeek. She is a lover of God, nature, wildlife, birds, gardening, photography, travel, simple living, natural health, pets and seeking a peaceful, healing lifestyle. Life has many hurts and sorrows but within "the [divine] nature in us" we CAN overcome. You can also find her posts on Google+ and Twitter.